Discussion in 'Dovetail Live Article Discussion' started by TrainSim-James, May 9, 2018. 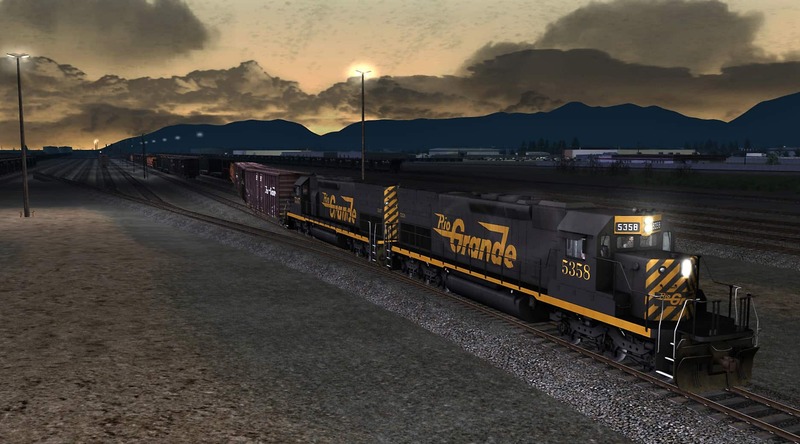 Train Simulator’s Salt Lake City Extension will bring new railroading experiences to the popular Soldier Summit route. This looks fantastic, I can't wait to explore Salt Lake City. That's so awesome!!! It won't be long now! I wonder if the GP40-2 will be released the day the extension comes out? Question: Which routes would be required for the GP40-2 scenarios when released? The scenarios will require the Salt Lake City Extension for Soldier Summit. Potentially exciting, but I don't quite understand how this new package will integrate with the old one. For example, will it be possible to make scenarios that bridge the two or will that require two separate scenarios, one for each route? Could bridging be achieved by using the feature that allows a second scenario to start as the first one completes (I've never tried this and cannot remember its correct designation)? In any case, even the brief yard descriptions have me salivating. The extension will join to the existing route and make one big route. So effectively, you can run all the way from Helper to Salt Lake City in one scenario.